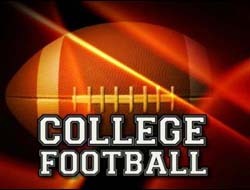 Sportsbook reviews of the 2011 college football odds season for Boise State and Michigan State would show that they were both very successful as the Broncos finished in eighth place in the rankings, while the Spartans were 11th. But both teams are going into the 2012 campaign with new starting quarterbacks and a slew of holes to fill, which makes their August 31st meeting in East Lansing that much more intriguing. The Broncos lost just once in 2011, a 36-35 heartbreaker to TCU, and it was the first loss at home in the career for Kellen Moore, who is now gone, along with a host of other players. They lost their first-string running back, receiver and tight end, two great linemen and their entire defensive line and players that use price per head software may be counting them out. Joe Southwick is probably the favorite to replace Moore as he has backed him up for two years and knows the system. D.J. Harper is the starting back as he goes into his sixth year, and injuries have been an issue. The defense, which has been one of the nation’s best, has to replace basically the entire secondary. The Spartans had three losses last season and some sports betting players were probably skeptical to put them up there with the top teams, especially after an early loss at Notre Dame. They would go on to lose at Nebraska and at home to Wisconsin, and now they have to go on without quarterback Kirk Cousins, who like Moore, had the most wins in the history of the program. Andrew Maxwell takes over the reins for Cousins and he’ll be behind an offensive line that returns four starters, so that will help. The defense may have to carry the team until Maxwell gets settled, with eight starters back. College football betting odds will likely favor the Spartans at home in their first meeting with the Broncos, and this is going to be an interesting feeling-out game as no one really knows what they have and they won’t until kick-off. This is probably a great game for both to see how they match up and what adjustments to make going forward, but it is going to be tough for Southwick to step in and fill even half of the void left by Moore under center. He is going to be pressured by a Michigan State defense that is being tipped as the best in the Big Ten and one that could compete in the SEC, which is a huge compliment. Take Michigan State to be victorious in your online sportsbook and take advantage of the $900 Free Play at BetOnline.